I joined EARN in November as the Strategy and Business Development Manager. At EARN, I will build relationships with employers, credit unions, and financial services providers to use SaverLife technology to create benefits that help their employees and clients. I have a passion for empowering others to create healthy habits and develop solutions for a more equitable society. In my previous, non-EARN life, I’ve worked across the public/private sectors – I was a Peace Corps Volunteer in Guatemala (and am a fluent Spanish-speaker) and I was part of the employer health solutions team at Fitbit, building out the product to support employers in introducing Fitbit’s technology into benefits programs, designing the implementation process, and managing large scale partnerships. Since joining EARN, I’ve already launched a new employer partner savings program – HCA Healthcare (250K employees, headquartered in Nashville) in partnership with the HCA Hope Fund. 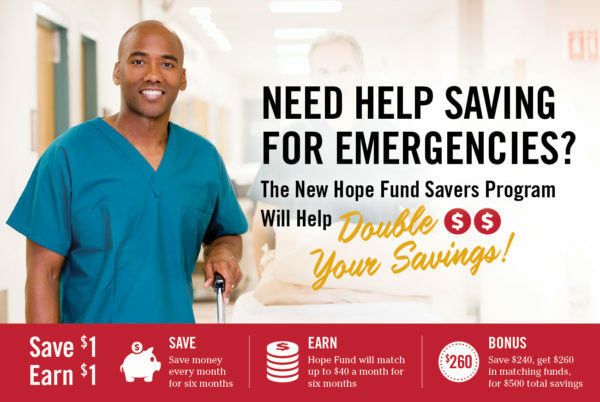 The HCA Hope Fund will be matching savings 1:1 up to $40 a month and providing an additional consistency bonus of $20 for employees who save every month. On average, participating Levi’s employees have saved 8.3x more than prior to joining the program. Debbra Ward, a store manager in southern California, was able to use her savings to safely evacuate her family and book a hotel room when her home was threatened by a recent wildfire. I will be at the Health and Benefits Leadership Conference in Las Vegas April 23rd-26th, where EARN will be presenting in the Ideas and Innovators session as well as providing a product demo for employers, benefits professionals, and other leaders in the space. In the next few months, we will be announcing several new and exciting partnerships with some major employers and credit unions. Keep an eye out for these announcements! 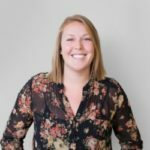 Crystal is EARN’s Strategy & Business Development Manager. Crystal is responsible for developing and managing strategic relationships, with a focus on bringing our platform to low-wage employees through employer partnerships.